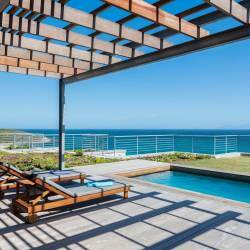 121 Ocean View Drive Apartment in Green Point is a luxury self-catering studio apartment which has been completely refurbished to 5 star standards. Vibrant and airy, the apartment is beautifully decorated with top quality finishes and superior quality percale linen. 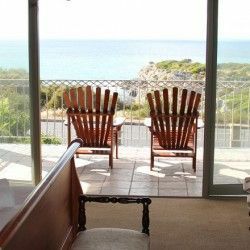 The apartment is air-conditioned and has flat screen DSTV, large full bathroom, fully equipped kitchen and large patio with furniture and braai facility - and stunning views! A swimming pool set in wooden decking, is available for guest's use. Situated in the wind-free Green Point, on the slopes of Signal Hill, this 2 sleeper apartment is ideally placed to enjoy the V&A Waterfront, the magnificent beaches and the restaurants and shopping malls in the suburbs below.